The BT-Pro is a Bluetooth direct box designed to capture the wireless transmission from a Bluetooth enabled device and convert the signal to a balanced line for use in a PA or recording system. It employs an innovative T-shaped access cavity behind which is located the antenna. This is protected by a milled insert made from Sintra - a rugged closed-cell PVC - that permits the wireless transmission signal to pass without interference, allowing reception distances to 20 meters (60') under ideal conditions. The audio signal path itself employs the latest Bluetooth wireless A2DP interface over 2.0 EDR (Enhanced Data Rate) for higher speed transmission to deliver optimal audio quality. This standard employs a 16-bit wireless compressed format with the actual bit rate determined by the transmission source material. Inside, the BT-Pro converts the data to a stereo analog signal, producing up to +4dB at the output. 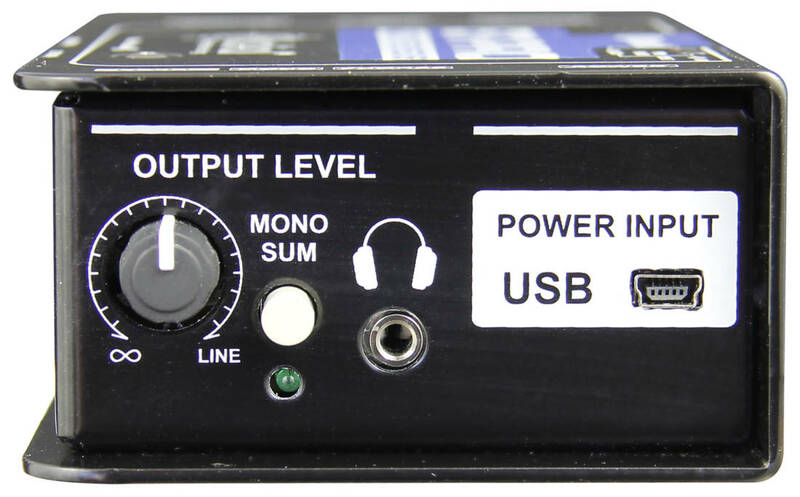 The signal level is controlled by a front panel potentiometer that is shared with the built-in headphone amp with standard 3.5mm mini TRS that is used for trouble shooting. 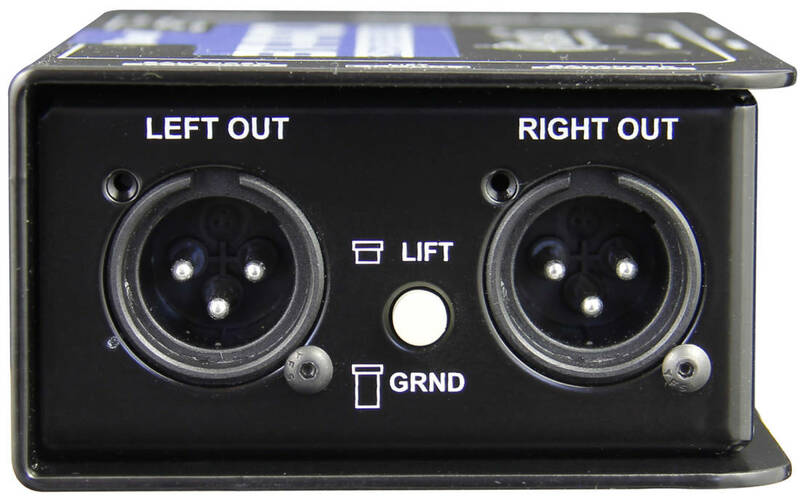 For greater flexibility, a stereo-to-mono switch sums the stereo output for dual-mono operation to reduce input channel requirements on the mixer or to share the signal between separate systems. Should noise be encountered, two side-mounted isolation transformers may be inserted into the signal path. This is augmented with a ground lift switch for the XLRs to further help eliminate hum and buzz caused by ground loops. Connecting to the BT-Pro is easy. The BT-Pro is powered by an external 5V supply via a mini USB port and may also be powered from a laptop or USB hub. Once turned on, two top-mounted LEDs will toggle as it awaits paring. Turn on your Bluetooth device and its transceiver sends an initial pairing message to identify the BT-Pro. This will show up as 'RadialEng'. A connection pass code is then used to initialize the connection. This important safety feature ensures other nearby Bluetooth devices cannot 'pollute or hijack' the system. Once paired, the BT-Pro's red LED will remain illuminated and undulate to blue to let you know the two Bluetooth devices are talking to each other. 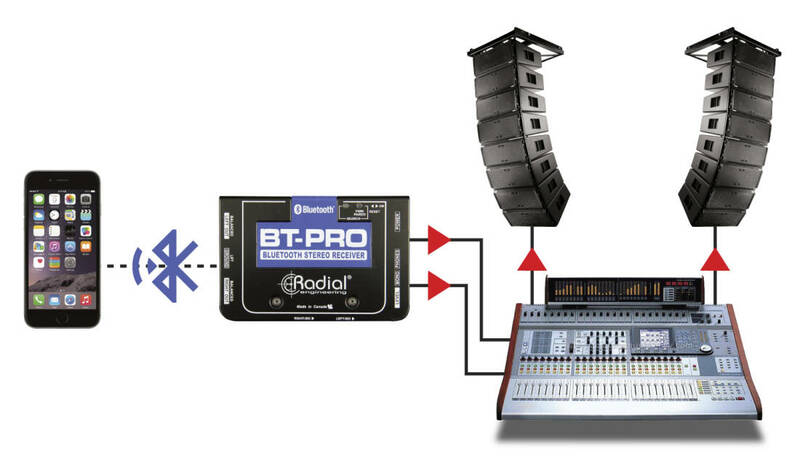 The Radial BT-Pro a wireless DI made for professional touring. I am a DJ and I purchased the Radial BT-Pro Bluetooth DI to connect my phone to my mixer wirelessly. I had been using a cable with 1/8" mini to dual 1/4". I was not happy with the sound quality with this arrangement. 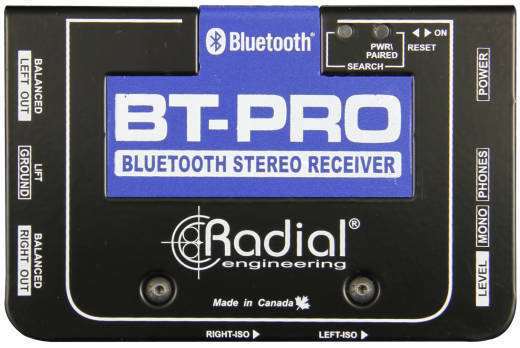 My Long & McQuad salesperson suggested the Radial BT-Pro, and I am very happy with the sound quality. You can go stereo or push a button and sum the two channels for mono output. This is a great option if you don't have a lot of channels to spare on your mixer. I've used this unit at four different venues so far, and have had no dropouts at all. During sound check, I have taken my phone into another room, and the Radial BT-Pro still picked up the signal crystal clear. The most important thing for me, is this device sounds great! Worth every cent I paid for it. I highly recommend it.